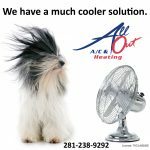 All Out A/C & Heating is a growing residential HVAC company in Richmond, TX that primarily serves Fort Bend County area. We pride our self in not taking short cuts and providing the best experience possible for our customers. We have an A+ rating with the BBB and a recipient of their Award of Excellence as well as numerous other awards. We are seeking a professional individual skilled in diagnostics, repair, service and sales of air conditioning and heating equipment. Training will be given to individual on a as-needed basis to keep up to date with the current industry trends as well as company standards. 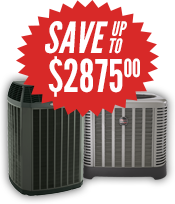 “All Out A/C & Heating has been a great place to work for such a demanding industry. They understand the importance of family and show it in how they treat their employees as well as customers.” – Michael A.